Cleas for edible seaweeds, crafts, public bus, guided walks & translations. 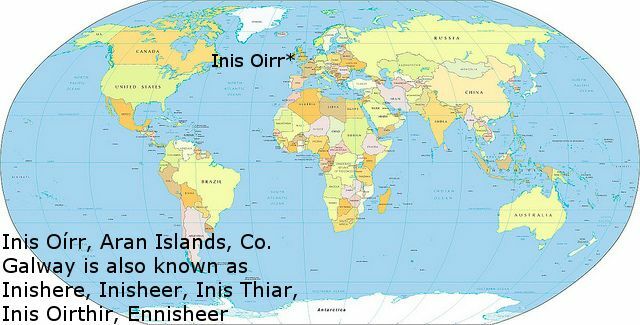 CLEAS- About Us Our aim at Cleas is to enhance life on our island of Inis Oírr. To this end we provide a public transport service with our bus Síob an Phobail, a year-round daily service. We support the promotion of the Irish language through our Translation Service Business to clients and the general public. 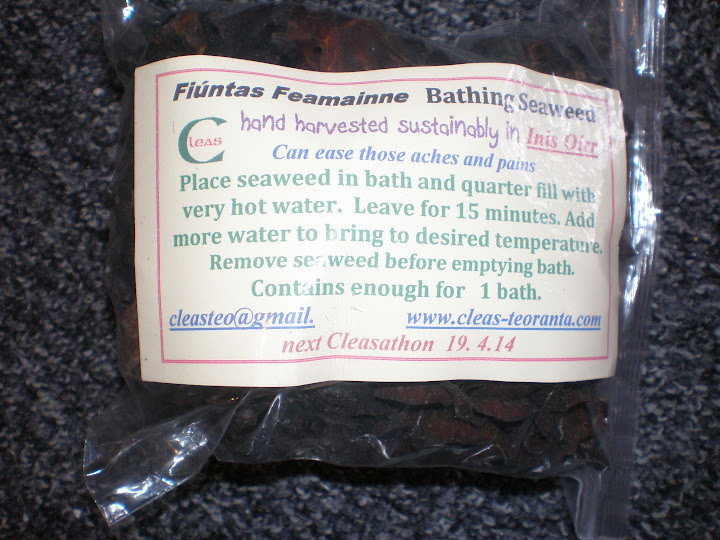 We sell hand harvested island seaweed products Fiúntas Feamainne including carrageen, dulse and bathing seaweeds. We repair the Island's Seashore Walkways and ensure they remain open throughout the year. We grow willow and produce traditional and modern Items of Basketry. 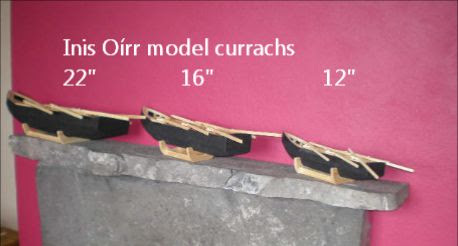 The world famous model Aran Currachs in various sizes are hand crafted by our team and sold here. The multi-coloured traditional belt the Crios is also produced by us. Our Cleas Crafts outlet, situated downstairs in our Áras Éanna premises, stocks crafts produced by local island craftspeople and remains open throughout the year. Through our Taste of the Gaeltacht we cater for groups keen to sample our island's heritage. We also provide Guided Walking Tours, available all year around. Through our Environmental Projects we endeavour to keep the many walking routes, sideroads and wells on our island accessible and litter free. When in Inis Oírr visit our CLEAS CRAFTS shop, in Áras Éanna, (less than 5 mins from Inis Oírr ferry port) to see the wonderful selection of crafts produced by Inis Oírr locals.